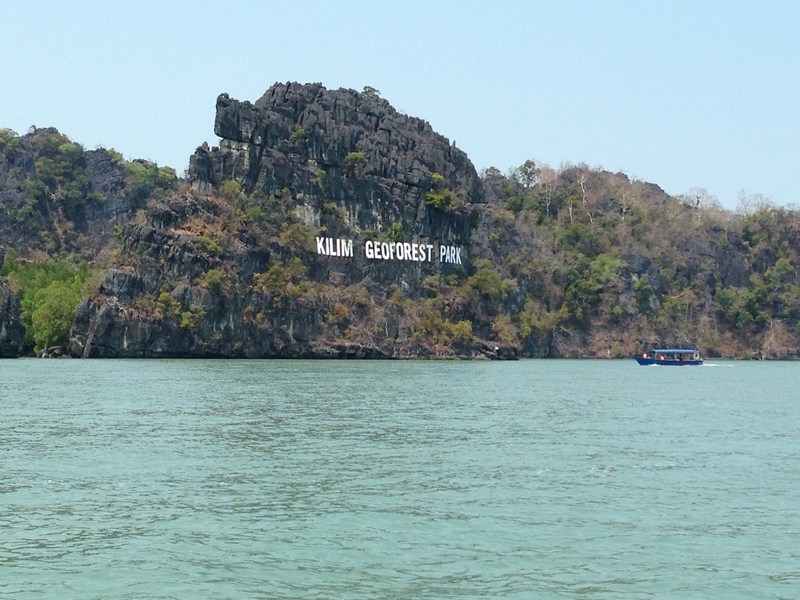 If you read our last post, you’ll know that we spent a week in Langkawi, Malaysia and had a superb time. It was so great that I had to break it into two posts because it was just too much for one! 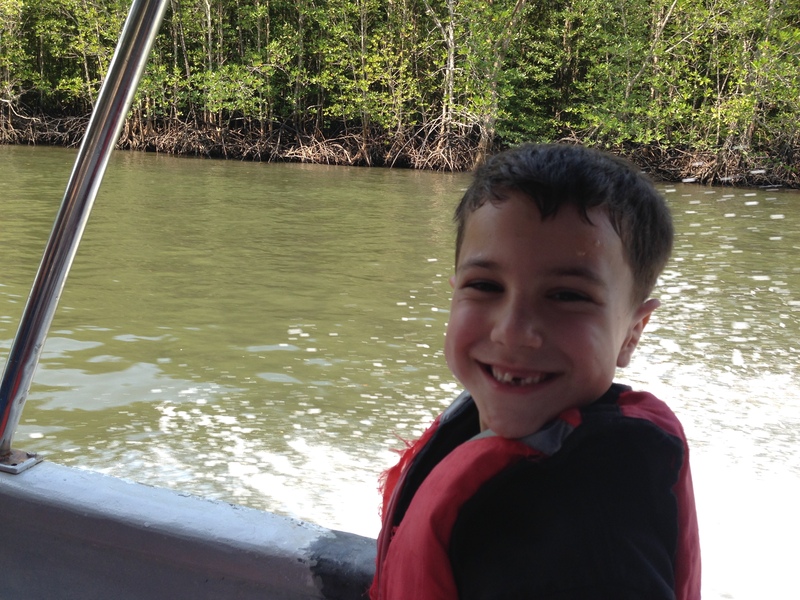 We met another family there and ended up sharing a boat for a few hours on a mangrove tour. We stopped at a fishery where the kids got to see some fish like grouper, stingrays, sharks, and crabs. 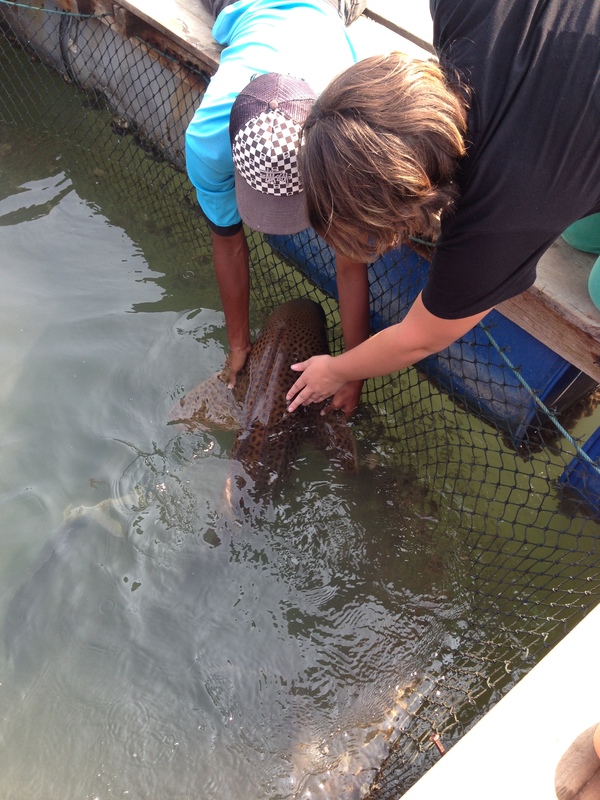 Here is a pic of Grace petting a leopard shark! 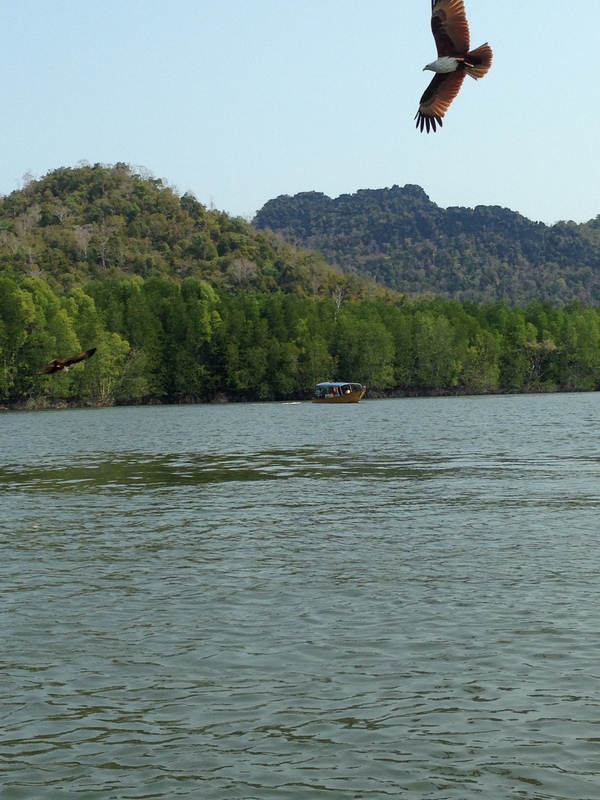 After feeding the fish we headed out on the boat to watch the eagles feeding! It didn’t last long but it was amazing to see. Then we went into the bat cave! We weren’t allowed to take pictures (or even talk!) 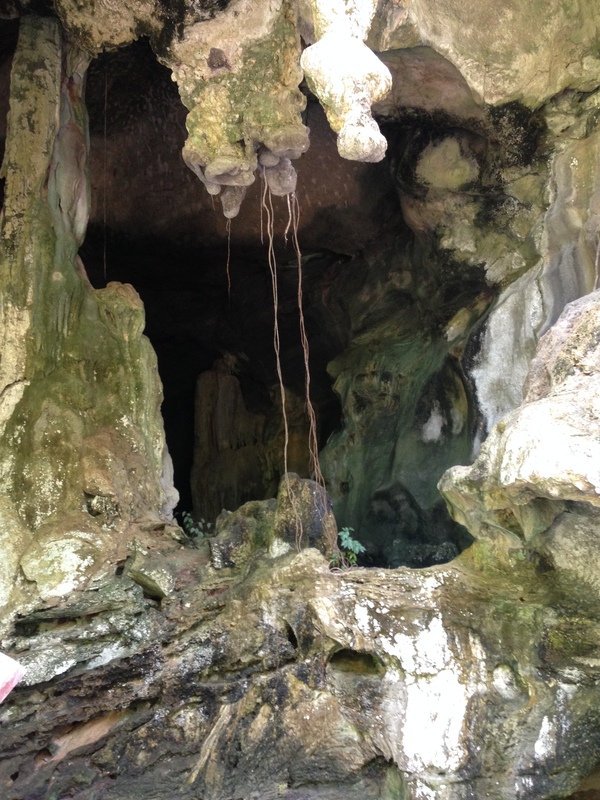 but I shot a quick one upon exiting the cave! 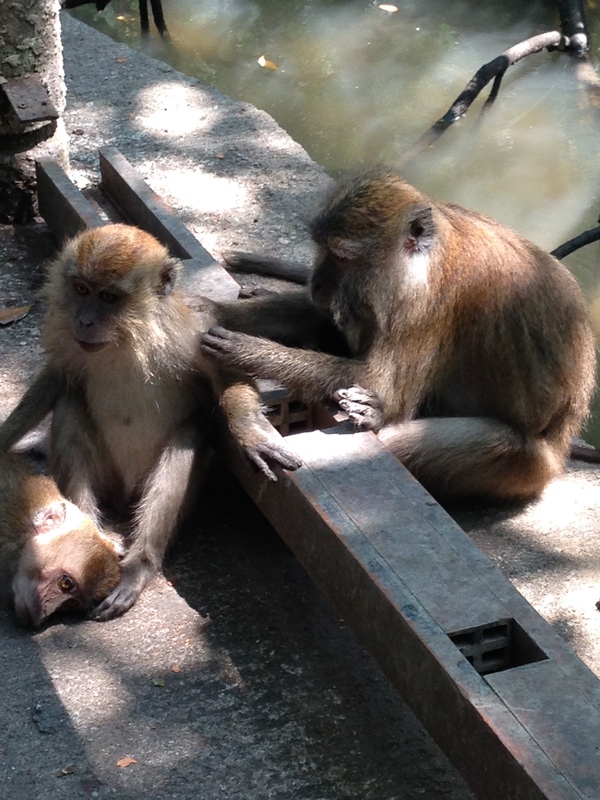 We also got to see some monkeys up close and personal. 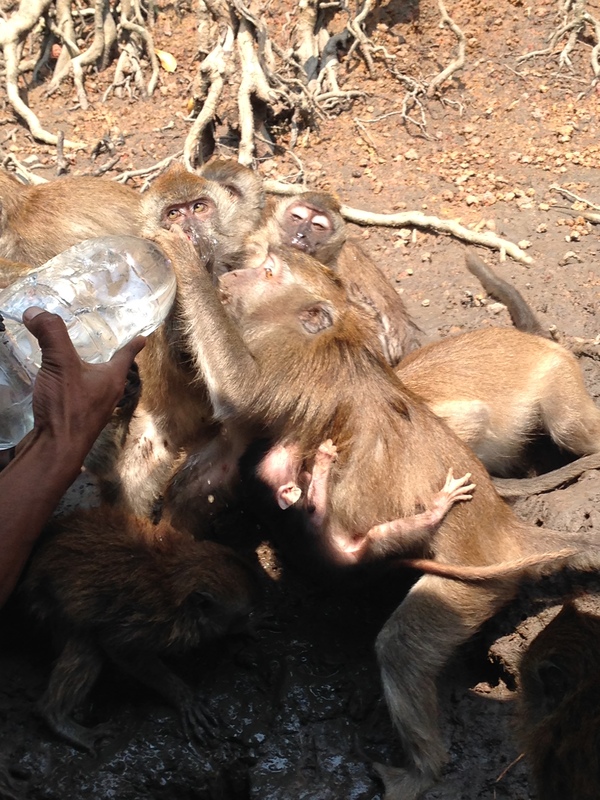 Some of them were just hanging out and grooming each other, while others crowded around the water bottle to get a drink! 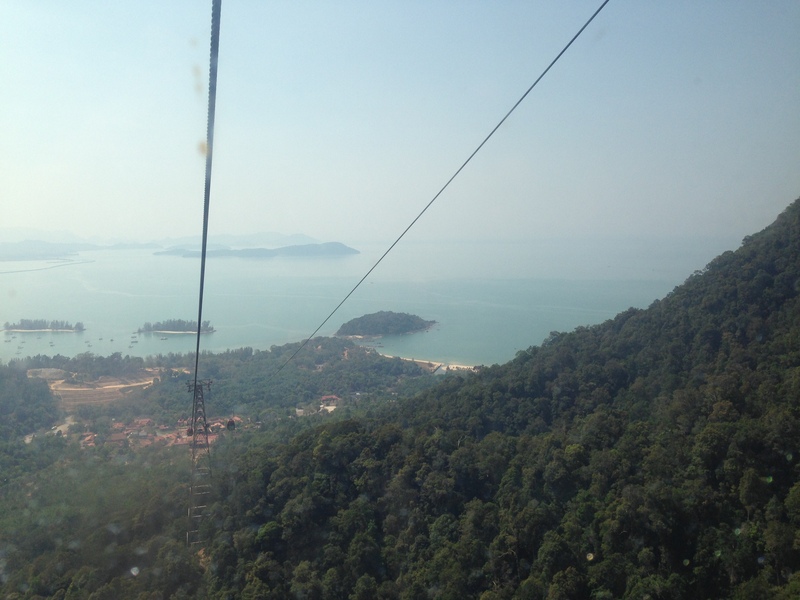 On another day we decided to go to the highest point on Langkawai via the cable car. The kids LOVED riding up in that thing and seeing how far up we were! On our last day at Fox Hill, Maria had her friend come out and teach us how to make baskets. He was amazing….and completely blind. 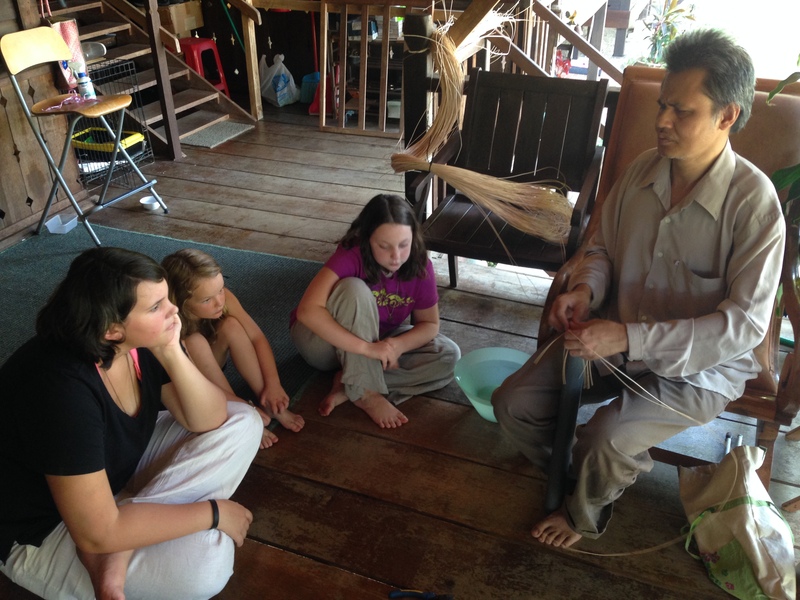 He learned to weave baskets by touch alone and is so adept at it he can feel ours to see if we are doing it right! It was difficult and lengthy but an afternoon well spent. And of course there was some kitty love. Maria has a few cats on her property for obvious reasons….and she found an abandoned kitty outside her gate a few weeks ago. She keeps her animals healthy and home and regularly checked by the vet. 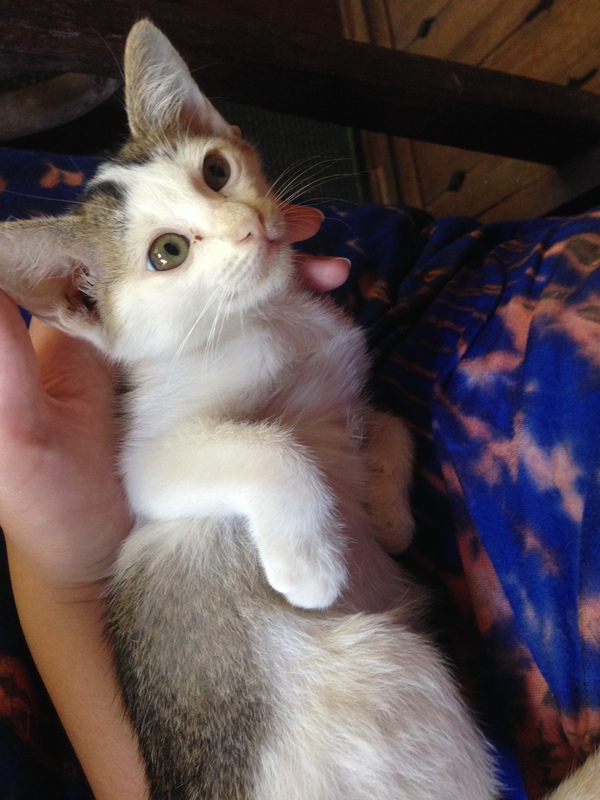 The kids were overjoyed that I finally said YES to petting this sweet little thing! Oh, and one more thing. 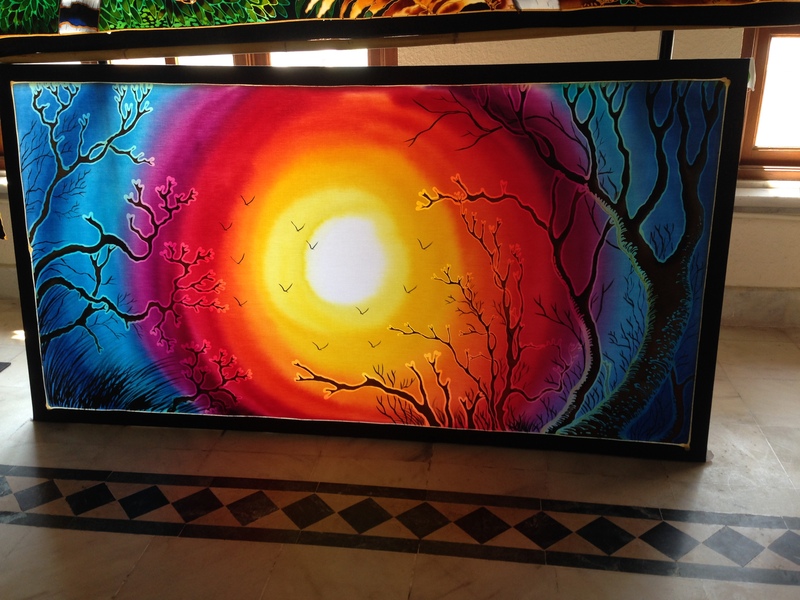 We found a new art form called batik painting. The outline (for beginners) is done in a wax type media and then the paint is bled on using a combination of ink and water. The girls enjoyed doing that while Sy got a henna tattoo! 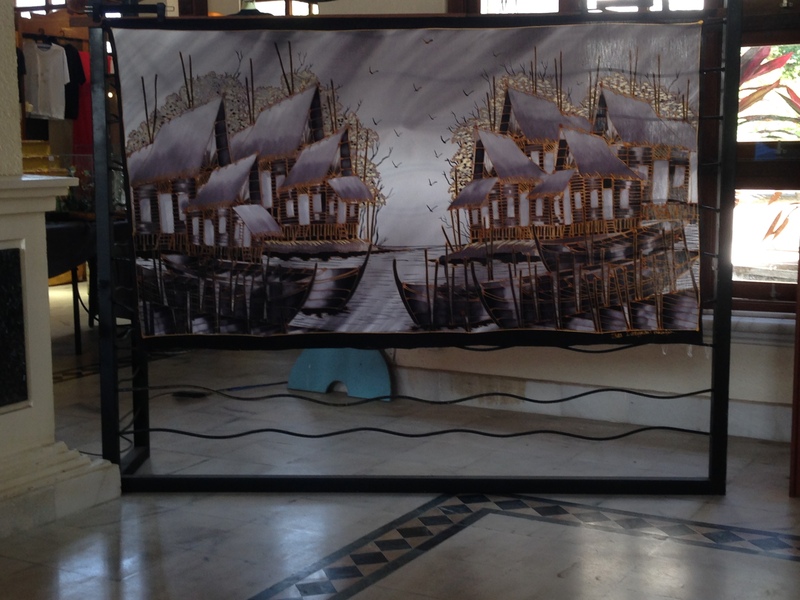 At the art center where we did this there were some AMAZING batik paintings….I regret not purchasing one of these! 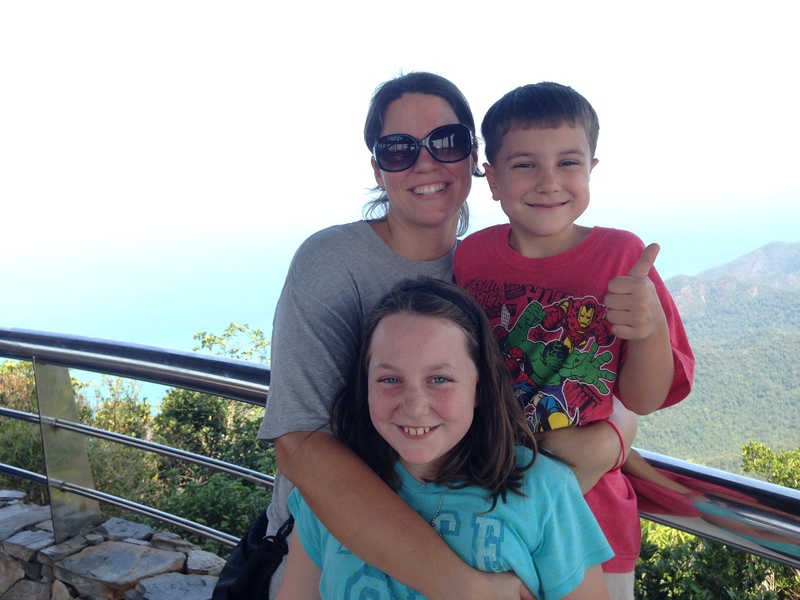 We are getting ready to leave Phuket and head up to Chiang Mai. Stay tuned for more amazing travels! !